What’s the Best Type of Window Tinting for Your Car? Your car is your baby. We understand. 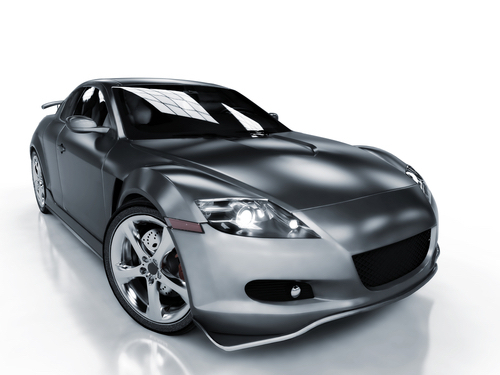 At Tintmaster, we specialize in window tinting for high-end and luxury vehicles. We understand your connection to your “baby” and we know you want to protect her both inside and out. Our 3M™ automotive window film will do just that. 3M™ film protects your interior from sun damage, reduces heat and glare, and increases your privacy and security. No matter what your reasons for tinting your car windows, there’s a 3M™ window film to meet your needs. We recommendtwo types of window film to car owners – the 3M™ FX HP Series or the 3M™ Color Stable Series. Both are excellent choices that are durable, virtually maintenance-free, and backed by a limited lifetime warranty. Read about both to determine which one is right for you. Related Read: How Does Window Film Work? With this window film, you can expect high performance and high style. Its outstanding heat rejection coupled with a sleek charcoal finish makes this product series popular among luxury car owners. It keeps you cool and protects you from UV rays by rejecting up to 55% of the total solar energy coming through your car windows and blocking up to 99% of UV light. In fact, it provides a total Sun Protection Factor (SPF) of up to 1000 for you and your passengers. You can choose from a variety of tint levels to suit your taste – up to 95% visible light blockage. This will increase your privacy and protect any valuables you leave in your car from prying eyes of passersby. Do you think you have to get tinted glass from the factory to have the right look? Think again. The Color Stable Series rivals tinted factory glass in its rich appearance. The nano-carbon is dispersed throughout the thickness of the film, so it will look great and perform at a high level for years with no chance of the film turning purple. It also keeps you cool and protects from UV rays by rejecting up to 57% of the total solar energy coming through your windows. Like the FX HP Series, it also provides a total Sun Protection Factor (SPF) of up to 1000 for you and your passengers and is also available in different tint levels that block up to 95% of visible light for privacy and security. The main difference with the Color Stable Series is that the Color Stable Series incorporates a unique process for producing nano-carbon polyester. This revolutionary process allows the film to reject heat without using a metal film layer. The metal film layer can interfere with radio and/or satellite signals. The Color Stable Series film lets you stay connected with mobile devices, GPS, or satellite radio reception without interference. Related Read: How Much Does Car Tint Cost in Sacramento? There are thousands of window film dealers in the country, but only a select few have been chosen to be part of the 3M™ network. We are proud to be a 3M™ Authorized Dealer Installer. We will help you select the right window film for your “baby” and we will install it flawlessly. If you have questions, give us a call at (916) 852-8468 and we’ll be happy to answer them or give you a quote on your auto window tinting.